The Fatquarter Shop and Gnome Angel have teamed with Marti Michell to kick off this year long sew along. 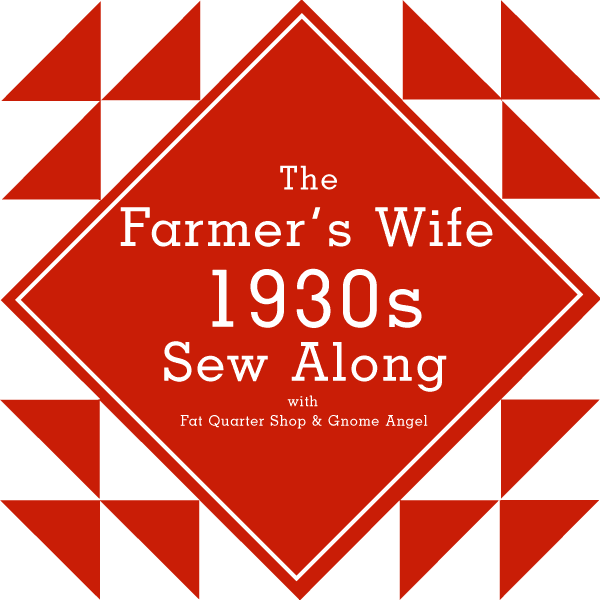 They have asked a group of bloggers to join in on the fun and I am happy to be included in this group of talented quilter/bloggers. Over the course of a year, each blogger will be making blocks and showing a tutorial on their blog. 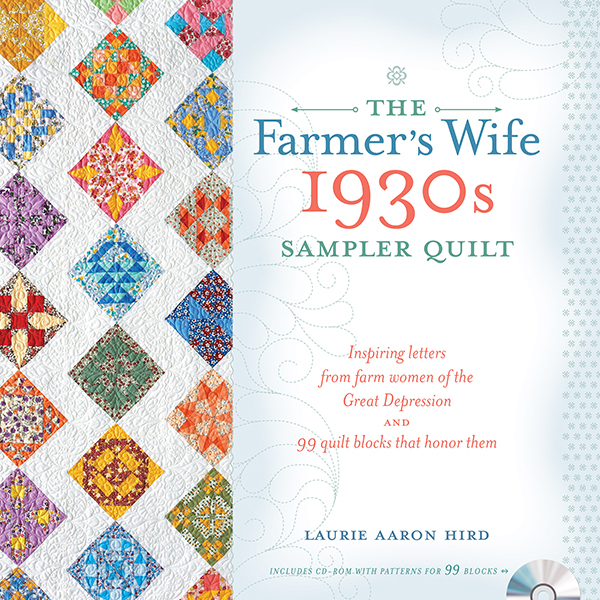 We are using the book "The Farmer's Wife 1930s Sampler Quilt" by Laurie Aaron Hird. The back of the book reads: " In the 1930s, The Farmer's Wife offered inspiration and positivity in the "Letters from Our Farm Women" column. Each month, the magazine published letters from readers that offered support and encouragement to each other in an economically challenging time for our country. 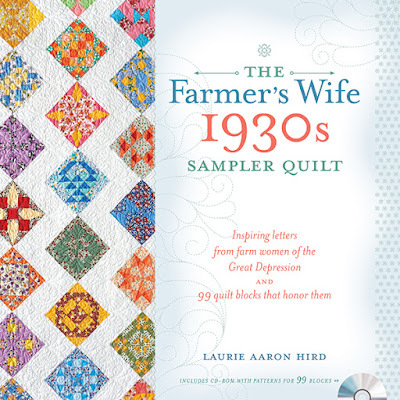 The Farmer's Wife 1930s Sampler Quilt shares ninety-nine of these letters from The Farmer's Wife magazine published during the 1930's, and a traditional quilt block inspired by each one." The blocks can be made in a variety of ways. 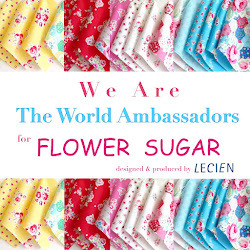 The book includes a CD with templates, paper-piecing patterns and rotary cutting instructions. 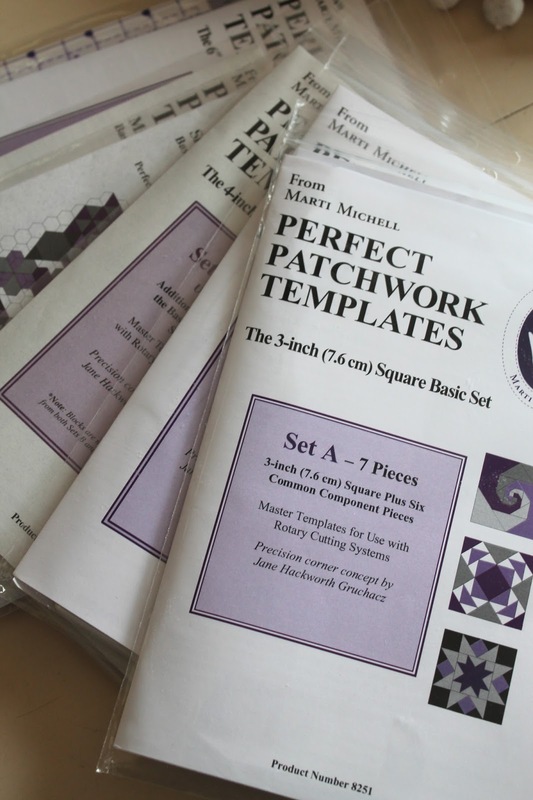 In addition, Marti Michell has developed a set of templates that can be used to create the blocks as well. She has a list of the templates you need on her blog. 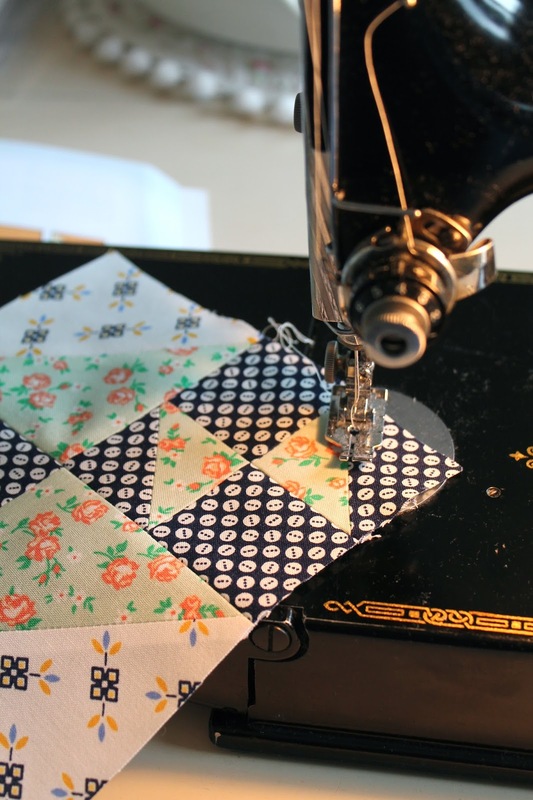 I am using my Singer Feather Weight Sewing Machine from that era to complete the quilt because I feel that much closer to the women who originally wrote the letters and stitched quilts of their own. It was fun deciding what fabric to use. My choice is "Line Dried" by Mama's Cottons for Connecting Threads. 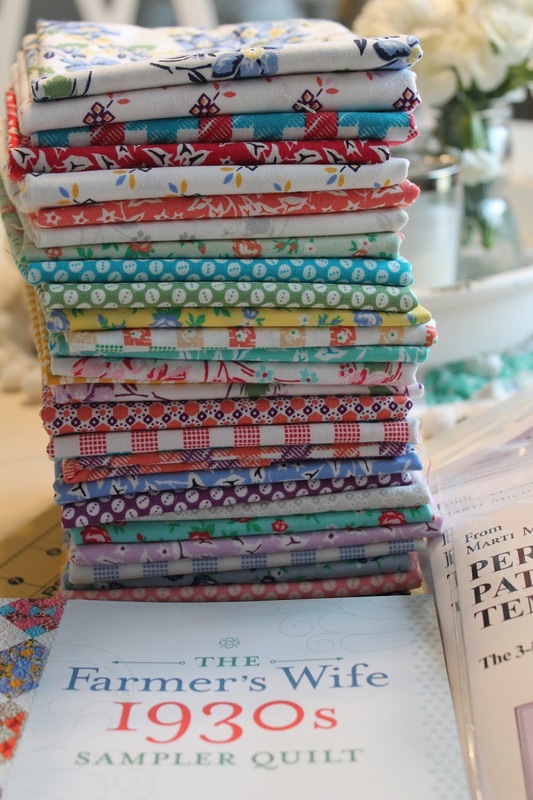 I love the vintage feel to this collection and it's just so pretty! 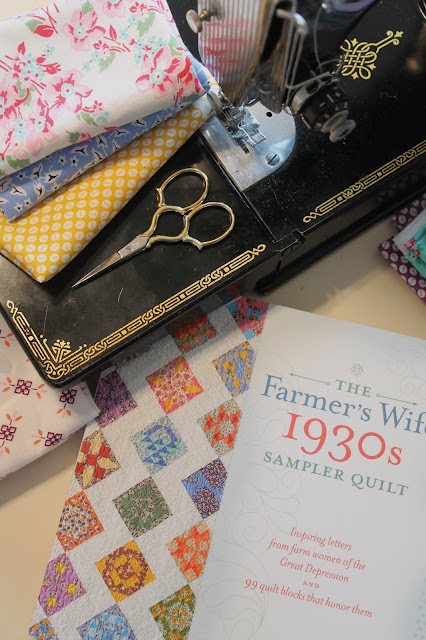 If you put any of your blocks on Instagram, please use the hashtag #FQS1930FarmersWife so we can see your progress and you can get inspired by other quilters. I will be back tomorrow to show you my first four blocks.